200 gms paneer (cottage cheese) cubed and sauté in a tbsp of ghee till golden brown and remove into a dish and add a cup of hot water to the fried paneer cubes and let them sit in it for 5 mts.Drain the water and keep aside. In the same kadai in which the paneer cubes were sauted,add the diced tomatoes and capsicum and sauté for 2-3 mts and remove from heat. Heat ghee or oil in a kadai or vessel and add the onion paste and fry it well till oil separates.It should be well fried till the raw smell of onions disappears. Add ginger garlic paste and fry for 3 mts.Add turmeric pwd,coriander pwd,red chilli pwd,cumin pwd and salt and mix well. Add the tomato puree and mix well and cook for 5 mts.Add kasturi methi and the fried paneer cubes and let it cook covered for 2-3 mts. 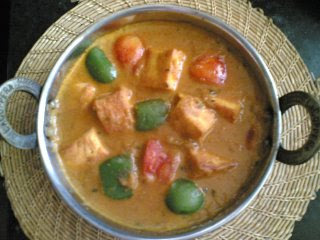 Now add a cup of water,garam masala pwd and sauted capsicum and tomatoes and mix well.Cook for 5 mts covered. 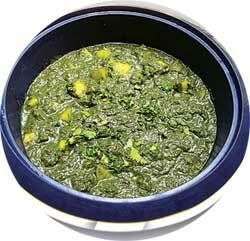 Note:You can prepare this dish without kasturi methi also.If you dont have kasturi methi,garnish with chopped coriander leaves.It tastes equally good. Mix the two flours,salt and ghee.Add enough buttermilk to the flours and knead a soft dough.Set aside covered with a thin wet cloth (so that the dough doesnt dry) and let it sit for an hour. Mix together minced ginger and chopped coriander leaves and make paste.Mix the mashed green peas and this paste and stir fry for 2 mts in a little ghee.Add garam masala and a pinch of salt and mix.Finally add the grated cottage cheese and mix well and make small balls and keep aside. Divide the dough into small portions(shape into lemon sized balls) and flatten each ball (approx 3″-4″ in diameter) and put a small ball of the stuffing in the center.Cover the mixture by drawing the edges towards the center and mould into a ball again. Take each of these stuffed balls and by pressing on a floured board ,roll into a round (pancake shape) (approx 6″-7″ diameter) paratha with a rolling pin. 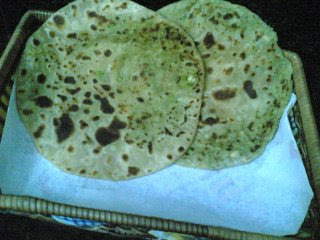 Pre-heat a griddle or tawa and place a rolled out parantha and cook till small bubbles appear on top and then flip the paratha and cook it again for a few seconds or so by pressing with a spatula or kitchen towel.Brush little ghee/oil on both the sides along the edges and fry on both sides until brown patches appear.Keep flipping over both the sides and make sure that both the sides of the parantha are cooked well till golden brown.While preparing the paranthas ,keep the fried paranthas warm by placing them in a towel-lined basket or bowl and fold over the sides of the towel. Note:Any left over dough can be refrigerated upto 3-4 days.The parathas taste just as good if not better and since the dough has been rested the paranthas can be rolled out easier. 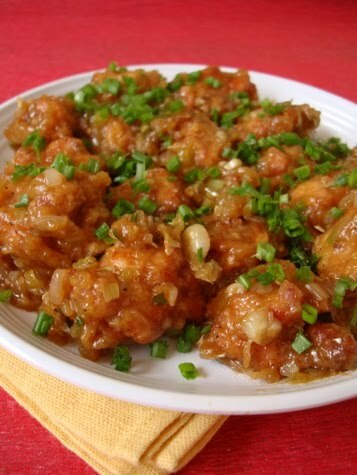 Boneless chicken pieces, onions, fresh coriander leaves, green and dry red chillis, ginger, garlic, cashewnuts and roasted spices are ground to smooth paste and shaped into bite sized balls and deep fried (can be grilled too). The grilled balls are absolutely perfect on their own and offer a healthy alternative but nothing to beat the crisp deep fried version..
1 Heat a tbsp of oil in cooking vessel. Add the cumin seeds, coriander seeds, cardamom, cloves, cinnamom, red chillis and cashewnuts and stir for a minute till a nice aroma emanates the whole kitchen. Be careful not to burn the spices. Cool. 2 First grind the roasted ingredients along with ginger, garlic and green chillis to a coarse paste. Next add the chopped raw onions, coriander leaves, chicken and salt and grind further to form a smooth paste like shown in the picture above. 2 Add a tbsp of oil to the ground mixture and mix thoroughly before shaping into small lemon sized balls. 3 Heat oil for deep frying. 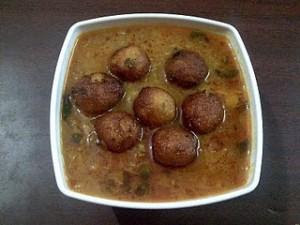 Once its piping hot, reduce flame to medium and place these balls in the oil and fry them to a crisp, golden brown color. 4Serve hot with tomato sauce or green chutney. The green and red chillis can be adjusted according to your spice level. The chicken balls can also be grilled for a more healthy version. Wash, peel, remove ends and grate the sweet potato. Heat ghee in a pan, add cashews. When cashews turn light brown, add raisins and remove from heat. Wash, peel and grate the sweet potato (app. 1 1/2 cups). Heat a pan, add jaggery and a cup of water. When jaggery thickens a little (having the consistency of honey), add grated sweet potato. Cook the whole mixture for a minute or two. 1 Heat ghee in a heavy bottomed vessel. Add shah jeera and bay leaves and stir for a few seconds till the jeera splutters. Add the sliced onions, grated ginger and green chillis. Saute the onions till they turn pink. 2 Add the mixed vegetables and on medium heat, let them cook. Add salt and keep covered for 4-5 mts. 3 Add turmeric pwd, masala pwd and combine well. Stir fry for a minute. 4 Add the cooked soya chunks and keep covered for 2 mts. Add the mint leaves and combine. 5 Add the coconut milk, let it come to a boil, reduce heat and add the water. Bring to a boil again. 6 Add the drained basmati rice and mix well. Add salt, if required, at this stage. Reduce heat to medium and let it cook covered with lid. 7 Finally, once the rice and vegetables are cooked, add the lemon juice, fried bread cubes, fried cashewnuts and garnish with fresh coriander leaves. 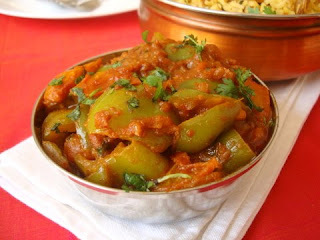 8 Serve with raita, mixed vegetable curry or chicken curry. Marinate chicken pieces yogurt , turmeric powder, coriander powder, red chilli powder, ginger paste, garlic paste and cumin powder. Add the sliced onions and salt and mint to the marination. 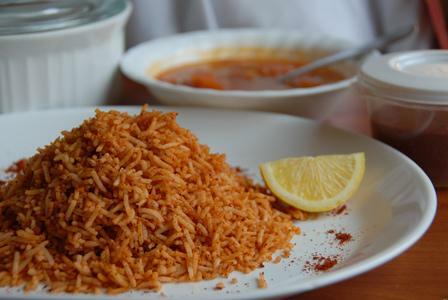 In boiling water add clarified butter or oil, cinnamon sticks, cardamoms, cloves and cumin seeds and boil the rice until it is half cooked. Add the rice to the meat. Pour a little butter or oil and saffron water on rice and cook the rice on dum for about 30-45 minutes or until done. 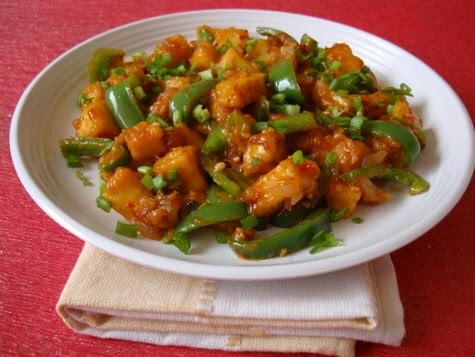 Serve hot and garnish with fried onions and fresh coriander leaves. 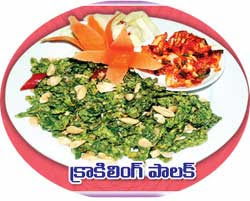 Serving Suggestions: Garnish with a couple of fried cashew nuts if desired. 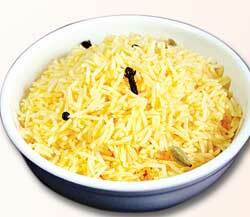 Biryani made in ghee taste the best trust me!!!!!!!! 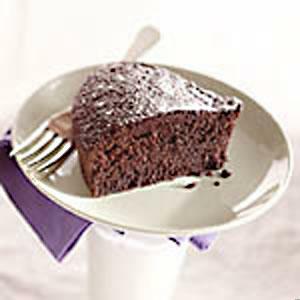 While cake mixes may be the easiest option for a home-baked cake, they often contain hydrogenated fats. By making this simple “scratch” cake, you can use healthful canola oil, incorporate whole-wheat flour and opt for a no-calorie sweetener, if you like. Whisk flour, granulated sugar (or Splenda), cocoa powder, baking powder, baking soda and salt in a large bowl. Add buttermilk, brown sugar (or Splenda), egg, oil and vanilla. Beat with an electric mixer on medium speed for 2 minutes. Add hot coffee and beat to blend. (The batter will be quite thin). Pour the batter into the prepared pan. 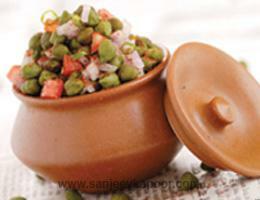 METHOD:Pressure cook soaked green chana in three cups of water till two to three whistles or till done. 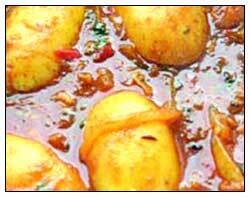 Transfer them into a kadai and simmer till all the water evaporates. Take the hot chana in a bowl. Add onions, tomatoes, green chillies, coriander leaves, black salt, roasted cumin powder, chaat masala, red chilli powder and lemon juice and mix well. Serve immediately. With little ghee fry red chillies for few seconds. Remove from stove and add jeera. Cool it to room temperature and grind in to fine powder. Mix the jeera powder with rice and a drop of ghee. Notes: You can do talimpu/popu with urad dal and mustard seeds if u like to make the rice a bit crunchy. Powder cant get any spicy than this. You can store the jeera powder in a tight container for months. This way you get a quick tasty and zesty kick in seconds. Boil potatoes, peel and mash.Soak bread slices one by one in water. Take out and squeeze the water from slices and mix with mashed potatoes, chilli powder and salt.Heat oil in a pan. Add onions and saute till light brown.Add Paneer, fry for a while, then add chopped green chillies, red chilli powder and salt to taste. Keep aside. Heat little oil in a pan. Add onions and fry till golden brown.Add ground masala and fry till it separates from oil.Add 1 tbsp of curd, salt, red chilli powder and turmeric powder.Saute till oil is separated.Add another tbsp of curd and continue to fry till oil is separated.Mix tomatoes and fry. Pour one cup of water and boil till the gravy becomes thick.Add koftas just before serving. Garnish with coriander leaves. 1. Wash, clean and cut the chicken to cube size pieces. 2. Put it in a bowl and add lemon juice. 4. Mix the marinade ingredients and mix well. 6. Add Chicken to the marinade and mix well. 7. Let the Chicken marinate for 4-5 hours in the refrigerator. 8. Thread the Chicken on pre-soaked bamboo skewers. 9. Broil the Chicken in the oven on high. 10.Cook the Chicken for 10 minutes on each side and 7 minutes on the other side or till the Chicken is slightly brown. 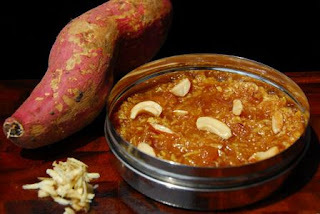 11.Once fully cooked, remove from the oven and garnish with onions and lemon wedges and it goes well with Mint Chutney. 1. 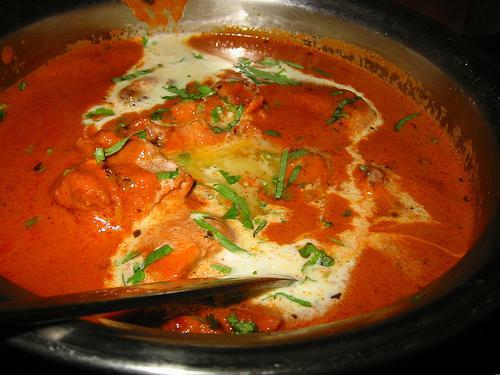 Every oven is different and varies from one to another…so do keep an eye on the Chicken, so that it does not burn. 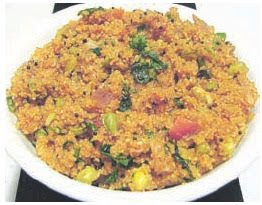 * Garnish with coriander leaves and serve with Naan and Kaali Daal. * మెకరొనిని వేడినీటిలో వేసి ఉడికించి వార్చాలి. అందులో కొద్దిగా నూనె వేసి కలిపి పక్కన ఉంచాలి. * ఉల్లిపాయను తరిగి ముద్దలా నూరాలి. * గసాలు, జీడిపప్పు ముద్దగా నూరి ఉంచాలి. * ఓ బాణలిలో ఉల్లిముద్దను వేసి బాగా వేయించాలి. తరవాత అల్లంవెల్లుల్లి ముద్ద, పసుపు, కారం వేయాలి. ఇప్పుడు టొమాటోగుజ్జును కొంచెంకొంచెంగా వేస్తూ వేయించాలి. తరవాత పెరుగు, జీడిపప్పుముద్ద వేసి బాగా వేయించాలి. అవసరమైతే కాసిని నీళ్లు పోసి బాగా ఉడికించాలి. తరవాత అందులో మెకరొని వేసి 5 నిమిషాలు ఉడికించి మెంతిపొడి, గరంమసాలా చల్లి దించాలి. * బియ్యం కడిగి గంటసేపు నానబెట్టాలి. * మందపాటి గిన్నె లేదా కుక్కర్‌లో ఒకటికి ఒకటిన్నర చొప్పున నీళ్లు పోసి మరిగించాలి. ఇప్పుడు బియ్యం, ఉప్పు వేసి ఉడికించాలి. * అన్నం సగం ఉడికిందనుకున్న తరవాత నీళ్లు వంపేయాలి. * మరో గిన్నెలో వెన్న వేసి కరిగిన తరవాత ఉడికించిన అన్నం వేసి గాలి చొరకుండా మూతపెట్టి తక్కువ మంటమీద 15-20 నిమిషాలు ఉడికించాలి. పర్షియన్లు ఈ రైస్‌లోకి చెలో కబాబ్‌ నంజుకుని తింటారు. అన్ని ఇరానీ రెస్టారెంట్లలోనూ దొరికే సంప్రదాయ వంటకం ఇది. * పాలకూర కడిగి సన్నగా తరగాలి. అందులోనే సన్నగా తరిగిన అల్లం, వెల్లుల్లి, పచ్చిమిర్చి, కార్న్‌ఫ్లోర్‌, మైదా, ఉప్పు... అన్నీ వేసి కలపాలి. * ఓ బాణలిలో నూనె పోసి ఈ పాలకూర మిశ్రమాన్ని కొంచెంకొంచెంగా తీసుకుని పకోడీల మాదిరిగా వేయించాలి. * విడిగా మరో బాణలిలో టీస్పూను నూనె వేసి కాగాక పచ్చిమిర్చి, అజినొమాటొ, ఉప్పు, మిరియాలపొడి వేసి వేయించిన పాలకూర ముక్కలు కూడా వేసి కలిపి దించాలి. చివరగా బాదం ముక్కలతో అలంకరించాలి. ముందు కూరగాయలను ఉడికించుకోవాలి. నెయ్యి వేడిచేసి శెనగపప్పు, మినప్పుప్పు, ఆవాలు , కరివేపాకు వేయాలి. వేగాక ఉల్లిపాయ, అల్లం,టొమాటో, పచ్చిమిర్చి ముక్కలను వేయాలి. రంగు మారాక కూరగాయ ముక్కలను వేయాలి. కాసేపు వేయించి నీరు, ఉప్పు,మిరియాల పొడి వేసి కలపాలి. నీళ్లు మరుగుతుండగా ఉప్మా రవ్వ వేసి ఉండలు కట్టకుండా కలపాలి. దగ్గరగా అయ్యాక దించేసుకోవాలి. అంతే వెజిటెబుల్ ఉప్మా రెడి. బంగాళదుంప పై పొర తీసేసి కొద్దిసేపు నీళ్లలో ఉడికించాలి. తరువాత నూనెలో దోరగా వేయించి తీసి పక్కన పెట్టుకోవాలి. ఇప్పుడో బాణలిలో నెయ్యివేసి కాగిన తరువాత జీలకర్ర, దాల్చిన చెక్క వేసి దోరగా వేయించాలి. ఇవి వేగిన తరువాత ఉల్లిపాయ, పచ్చిమిర్చి, అల్లంవెల్లులి, పచ్చికొబ్బరి, నానబెట్టిన సగ్గుబియ్యం, పచ్చిబఠాని, మిర్చిపొడి, పసుపు, ధనియాల పొడి, గరం మసాలను వేసి సన్నని సెగపై రెండు నిమిషాలు ఉడికించాలి. అనంతరం జీడిపప్పు ముద్ద, పెరుగును అందులో వేసి మరో ఐదు నిమిషాలు ఉడికించాలి. తరువాత బంగాళదుంప వేసి మరో మూడు నిమిషాలు ఉడికించాక గ్లాసు నీళ్లు పోసి నిమ్మరసం వేసి సరిపడా ఉప్పుకూడా వేసుకోవాలి. దీంతో రాజస్థానీ సాంగో ఆలు తయారైనట్టే. పైన కొత్తిమీర, పుదీనా తురుము చల్లుకుంటే ఆకర్షణీయంగా ఉండడమే కాకుండా సువాసన వెదజల్లుతూ రుచిగా ఉంటుంది. పరోటా, రోటీ, పలావు, అన్నంతో కలిపి వేడివేడిగా తింటే మంచి రుచిగా ఉంటుంది. ముందురోజు రాత్రి రాజ్మా గింజల్ని నానబెట్టాలి. బిర్యానీ తయారు చేయడానికి ముందు బియ్యాన్ని కడిగి పెట్టుకోవాలి. కాడలు లేకుండా పుదీనా ఆకులను తుంచి శుభ్రంగా కడిగి గ్రైండ్ చేసుకోవాలి. వెడల్పుగా ఉన్న గిన్నెలో నూనె, నెయ్యి వేసి కాగిన తర్వాత లవంగాలు, దాల్చినచెక్క వేసి వేయించాలి. తర్వాత ఉల్లిపాయ ముక్కలు, పచ్చిమిర్చి ముక్కలు, రాజ్మాగింజలు, అల్లంవెల్లుల్లి పేస్టు వేసి కాస్త మగ్గనివ్వాలి. ఇప్పుడు పుదీనా పేస్టు వేసి దోరగా వేయించి తగినంత నీరు పోసి ఉప్పు వేయాలి. నీళ్లు మరిగిన తరువాత బియ్యం వేసి ఉడకనివ్వాలి. అంతే పుదీనా - రాజ్మా బిర్యానీ రెడీ అయినట్లే.